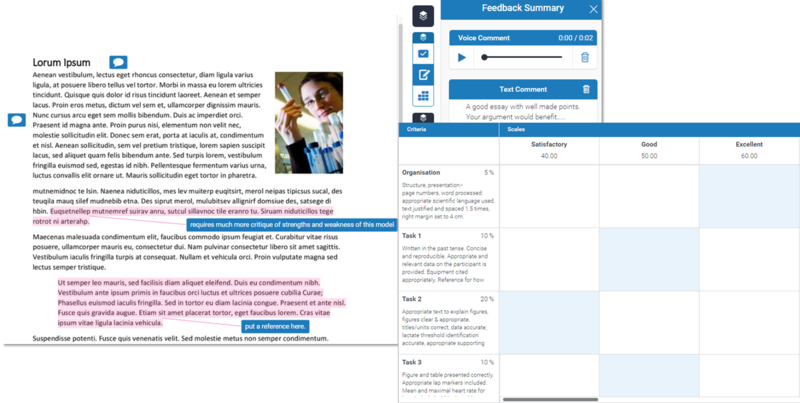 The Turnitin Feedback Studio service is available via a Moodle plugin and incorporates originality checking and sophisticated grading & feedback tools in a unified interface. 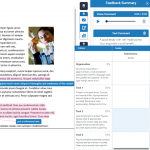 Feedback Studio supports consistency of feedback through the sharing of comment sets (QuickMarks), and grading against defined criteria using rubrics and grading forms. An overview of the interface is shown in the video below, and the University Staff Guidelines provide helpful hints & tips, while the official Turnitin Instructor guides provide detailed instructions for setting up and using the commenting and grading tools. Staff Voices are audio recordings from colleagues across the Schools offering great insight on the pro’s and con’s of using Turnitin in a range of learning and teaching contexts. You can browse for posts on Feedback Studio using the category menu or the tag cloud on the right hand side of the page.